Most of the basketball simulation games developed by Visual Concepts for the NBA 2K franchise have been launched either in the month of September or in the month of October. Therefore, most of the fans predicted that even the upcoming NBA 2K18 which will be noted as the nineteenth installment of the franchise will also be released somewhere between both the consecutive months. And now, innumerable sources and reports have pointed out that the NBA 2K18 will be rolled out in September 2017. Nevertheless, there are no official confirmation regarding the launch date of the upcoming basketball simulation game but it is quite assumed that the game will have its release date around that time of the year. Each and every installment of NBA 2K has been more powerful as well as engrossing than its predecessors. Therefore, even the NBA 2K18 is going to be much more addictive and captivating than the earlier entries in the franchise. A lot of fans want Visual Concepts and 2K Sports to come up with women players and matches this time because the games might have been improved and developed over the years but the urge of playing through the perspective of women basketball players haven’t been fulfilled. And it might be a great upgrade to look forward to if the game developer mull on this particular fact and introduce this option which has been longed for since ages to the upcoming NBA 2K18. NBA 2K18 coming into existence was officially confirmed in January this year and the game will be the first one in the NBA 2K18 which will be compatible for Nintendo Switch. However, the cover athlete of the games are the most interesting part for the players and now several people are wanting the developers to introduce the players of their choices to introduce as the new cover athlete for NBA 2K18. Some of them have said that they would love to watch Kawhi Leonard as the cover athlete for the upcoming NBA 2K18. And quite a few avid gamers have claimed that they would be extremely overwhelmed if Visual Concepts introduce Karl-Anthony Towns as the cover athlete. So, let’s hope that the cover athlete for NBA 2K18 is as intriguing and interesting as the other ones in the earlier installments. The upcoming basketball simulation game NBA 2K18 is definitely going to come forward with a lot more innovations but it might turn out to be great for the fans if the developers add some of the interviews after the matches. It might make the game look more realistic so that the gamers can relate to it. The facial features of the characters can be improvised but an addition of even more upgrades in the feature will surely turn out to be exciting for most of the fans. Nevertheless, the developers have delivered each and every installment of the franchise with great gameplay features which have made each one of them victorious. And now the nineteenth edition on NBA 2K is expected to be more overwhelming. I think it would be a great move to put Karl Anthony-Towns on the cover of NBA 2K18. Not a bad pick at all. 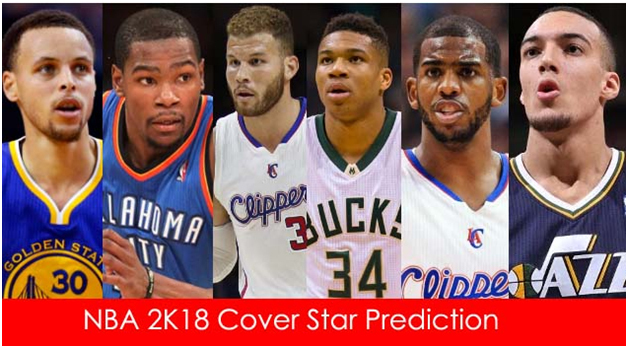 2K commonly puts players they think are going to be big time Superstars on their cover. I’m really excited about the eLeague in general. It’s a great way to bring to big ideas into one room together per say.